Late night radio show, but in TV format? Original run: November 12, 2014 – ??? DJ Captain hosts an underground radio called “Pirate Radio” on frequency 37.2 because that’s the temperature most suited for falling in love. Listeners send in stories about their love lives and he gives advice or comments on the topic. Much more than just a DJ though, Captain holds a Ph.D. in psychology and has a story of his own. In any case, the acting is mediocre at best, but the series is not really all about character development because besides DJ Captain, all the characters change from episode to episode. Each episode tells two stories, one from a guy’s perspective and one from a girl’s perspective. The stories are about different types of love and how each relationship deals (or not deal) with its obstacles. At the end of the story, Captain gives some advice and laments on the challenges of love. Overall, this series feels exactly like a late night radio show, except with visuals. If you enjoy that, then you should totally check it out. However, unless if the series fills us in on Captain’s back story, it might suffer from the lack of buy in because the characters all change. And because it does not have a linear story line to tie everything together, I don’t feel particularly attached to any characters and thus don’t feel drawn to continue watching. It’s not a bad show by far, but at the same time I probably will not be clicking the next episode any time soon. Jun Ji Hoo, also known as Jin Hyun Bin, was last seen in Nail Shop Paris in 2013. Ah Young played a minor character in this year’s The Night Watchmen. Choi Yoon So played a supporting character in tVN drama Liar Game. 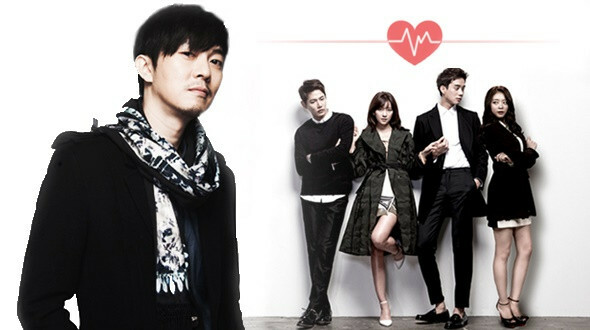 Yoon Gun is one half of Korean band, Brown Eyes which disbanded in 2003, but released an album in 2008. Since then he has gone on to sing on several OSTs including 2014’s Angel Eyes and Prime Minister & I. He has also cameoed in Trot Lovers earlier this year.